As the bristly Lady Mary on Downton Abbey, Michelle Dockery plays buttoned-up British aristocrat to the hilt. As it turns out, Dockery's not so far from her demure, refined character, at least if you believe a recent interview she did with the Sunday Times Style magazine. "I do feel nostalgic about that kind of femininity,” she told the magazine, of Lady Mary's reserved ways and penchant for propriety (certain trysts with Mr. Pamuk notwithstanding). The series' fourth season premiered in the UK on Sunday (the US will have to wait until January). 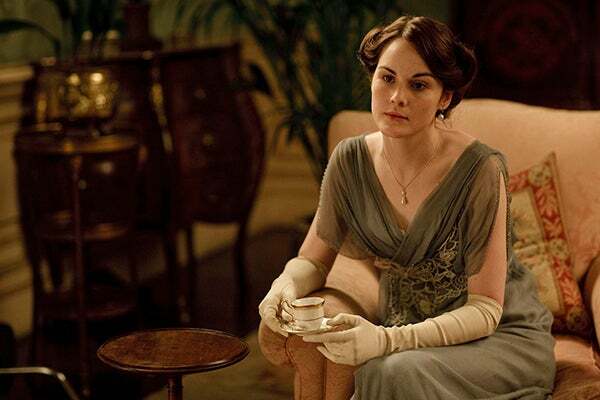 Viewers are itching to catch up with the newly-widowed Lady Mary and her infant son.